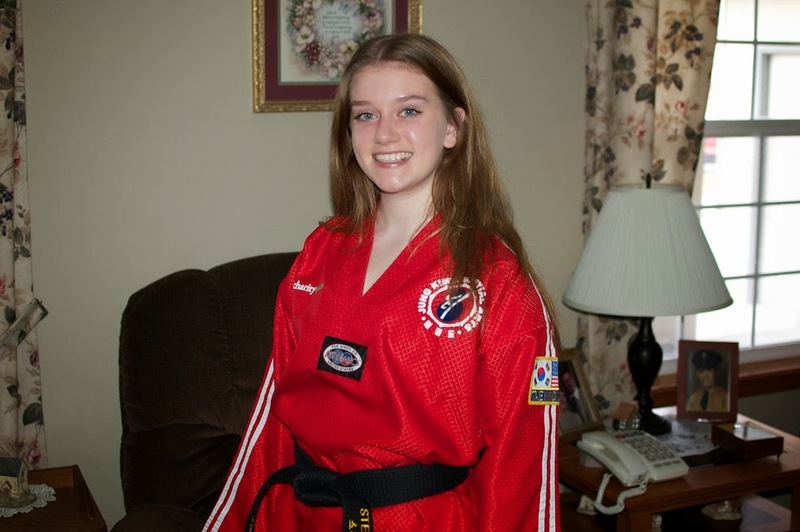 Stephanie has been in taekwondo since September of 2005. Kathy was volunteering with the Red Cross in Texas after hurricane Katrina at the time. When she came home, she said, "You signed her up for what?" Martial arts had never entered the picture before. Anyway, it's been great for her. She continues to progress and enjoy the sport. She was asked to join the demonstration team earlier than most because of her skills. Once she graduates from high school she will no longer be on the demo team. Today is the team's last demonstration until June so the demo at the WSU basketball game will be her final one. Her current routine is pretty fun because she gets to beat up--and make contact while doing so--one of the guys on the team. Three times. Don't let that pretty smile fool you. If you ever give Steph any crap she will kick whatever crap you have left right out of your body. Bad Bill Or Bad Matt?